Formulated as a hoppy India Pale Ale but fermented with our Lager yeast, becoming an India Pale Lager. 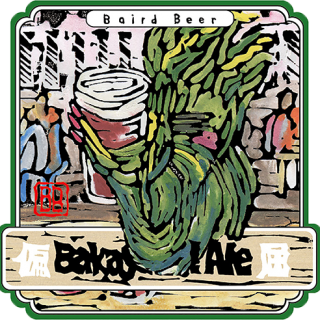 It’s a Baird tradition to greet each New Year with a ‘First-brewed’ (Hatsu-jozo) celebratory beer. We’re pleased to welcome 2018 with a reverentially irreverent hybrid take on an IPA – India Pale Lager. Happy drinking! This year’s “First Brewed” is formulated as a hoppy India Pale Ale but fermented with a lager yeast, becoming an India Pale Lager. The grist bill combines floor-malted Pilsen with a deft touch of bready Vienna & Munich character malts. 75 IBUs of all-German hops in the kettle followed by a single round of dry-hopping in the conditioning tank with equal portions of all five hop varieties leaves no doubt about the India Pale-nature of this brew. Fermentation with our house Lager yeast imparts a clean, round flavor characteristic of Lager brews. Wishing you a beery happy 2018!